SynAsTex Korrektur (2019) is a synthetic composition embracing the histories of analysis, abstraction and resynthesis of sound, in a live, computer-generated, 9-channel sound piece by the German artist Florian Hecker, one of the leading exponents of contemporary computational music. 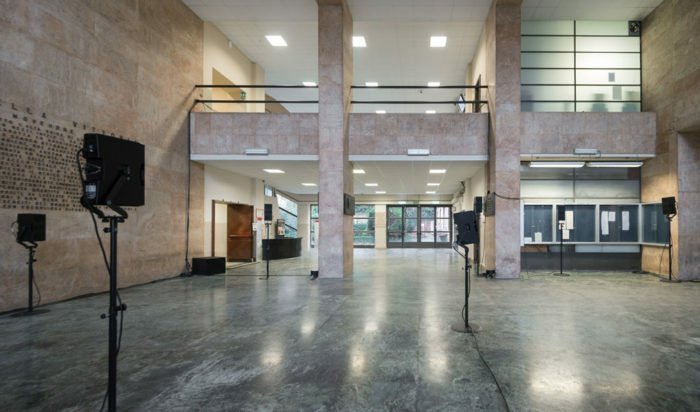 Presented by Xing, the School of Engineering and Architecture of the University of Bologna hosted the implementation of this new “theater of perception” giving life to the dialogue between the severe architecture of Italian rationalism—which emphasizes the balance between vertical momentum and structural solidity—and the electronic of the German artist. Paolo Iocca asked him a few questions. 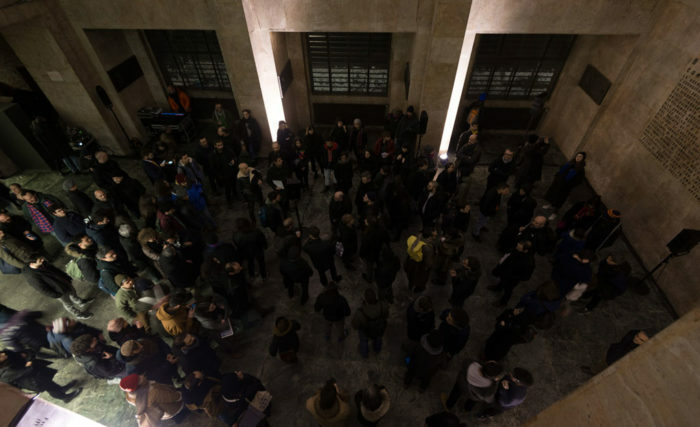 Florian Hecker, SynAsTex Korrektur (2019), Scuola di Ingegneria e Architettura dell’Università di Bologna. Credits: XING/Luca Ghedini. Florian Hecker: Many years ago, in 2009. Yes, it’s been changing quite a lot in the last 15 years, his work continues to be rediscovered by younger generations, more related material is available now, such as writings, releases and some pieces previously harder to find, and a new debate on performance and reenactment of certain electroacoustic pieces. He was a Renaissance polymath, it wasn’t just the music, it was the whole conceptual apparatus behind it with its legacy and impact on computer music and the many highly novel sounds at the time exhibiting a certain hard to pin down noisiness that was way ahead of their time when they were first introduced. Yes absolutely, I think that in your music is “not just the music” as well, there’s a lot of different things going on. You like to describe your installation more as space-specific rather than site-specific, so I’m curious about the idea of “space” inside this definition, and also what is particularly captivating for you in the relationship between sound, space and mathematics. Is there something particularly intriguing or inspiring there, informing your work or triggering your workflow? Maybe not in this particular order and combination. I wonder what relevance this never ending spatial obsession is nowadays—it’s been going on for centuries. For me it’s more amusing to focus on the sound material itself and what is it doing with you. 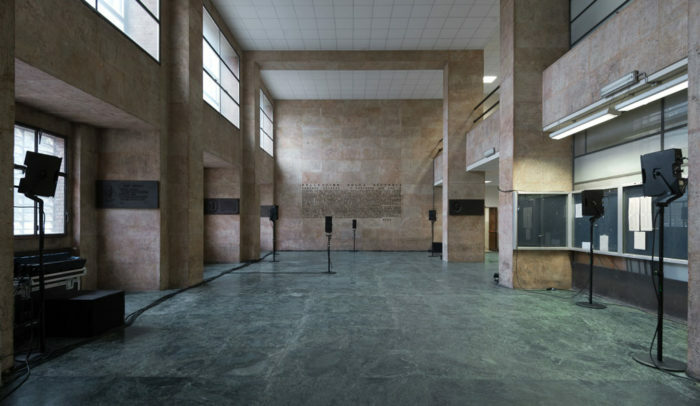 To eschew this spatial dilemma, or the treatises that deal even deeper with this inescapable connection between the sound, the character of a room, the materials and qualities of all the elements that come into play, reverberation, delay times and so on. It always interferes! A piece that has been conceived for a particular space builds up its barriers against other details that might benefit from more focus. Some remarkable historical examples push this space sound equation to a limit at least from engineering perspectives, from protocols of measuring spaces, which is of significance here as much as the extraction of these measurements leading again to the conception and design of virtual reverberation concepts. Did you choose the space of the School Of Engineering for specific reasons? Did you have more spaces available? Did you pick that up specifically? It wasn’t me picking it up. Having worked with Silvia and Daniele in the past, they suggested this location to me as a site. I’ve read about your installations described as a sort of “Theatre of Perception.” Is there some specifically hallucinatory property in the hearing process, more than in other senses? Is there something with the hearing that triggers this kind of “parade of doubles”? Is more normal for people to hear voices than to see ghosts? What do yo think about this idea? Does it make sense? The notion of the hallucination is something has first been suggested by the British philosopher Robin Mackay, with whom I’ve been collaborating on several projects, in an essay he wrote almost ten years ago (Robin Mackay, These Broken Impressions, Florian Hecker, Event, Stream, Object, ed. Susanne Gaensheimer, Frankfurt: Verlag der Buchhandlung Walther König, Cologne 2010). The text was dissecting a particular work partly through the writings of the French philosopher Eric Alliez, who published L’Oeil-Cerveau: Nouvelles Histoires de La Peinture Moderne that partly addressed the transition during the late 19th century, an initial phase of psychophysics, suggesting visual perception as a form of hallucination. Robin was pushing this further focusing on synthetic sound, which inhabits a certain quality that is escaping linguistic description; you can’t fully report what’s your experience of the “what” and “where.” A lot of the coordinates that we take as given our conception of space get slightly imbalanced with sounds that have specific properties. It’s not so clear any longer whether the heard is an external entity or eventually convoluted with phenomena emitted within oneself—addressing this as a model of hallucination or better pseudo-hallucination affords itself and is something I’m sticking to. I was thinking about what you just said about the linguistic issue. If you produce unheard sounds that aren’t part of current semiotic structures you are actually sort of creating a new language, you’re producing new language objects, or at least more linguistic interactions. My work is inhabiting a different function and language isn’t the best way to deal with it. I’m reluctant to think of these projects as ‘input’ for sound libraries, sound archives that are filling certain categories, adding semantically meaningful descriptors to it—that’s an approach closer to other areas of humanities and not so beneficial for the sonic experience. A question related to how you work: serendipity, happy accidents, generative systems. I like generative systems a lot, especially the idea behind them, that you don’t compose in the traditional way, deciding sounds and notes and writing them, but you set up a system and then you start it and the system would do stuff and you would listen like any other listener and you get surprises and it is enjoyable in my idea, it defies your pre existing plans, so it brings the unexpected to life. Besides being a composition, it becomes a learning process for yourself. How much do you keep things free, to which extent the generation of sounds is completely uncontrolled and to what point you control these events and the way these events are chained together. As far as I get it, you try to block any idea of flow, and the events need to be unrelated. So to control this and be sure things work fine how much do you need to control the system? The pieces are timed minutely, I am not employing randomness or other aleatoric systems – yet at times I do work with dynamic systems for sound synthesis on a micro-sonic level where the generation from waveform to waveform is following some—controlled—fluctuating criteria. Xenakis’ GENDYN remains dear to me. For SynAsTex Korrektur the underlying system deals with time frequencies statistics and different statistical categories like variance, means, cross and auto-correlation and so on. The resulting, admittingly large database of variations is navigated with some of such stochastically distributed and interrelated selection mechanisms – the overall structure is clear, in the vertical depth of iteration selection there is some room. It’s a highly controlled playback. Besides the digital replacement of the Frei Systemtechnik Filterbank with algorithms (I guess), what else is different between this SynAsTec Korrektur and the Synopsis As Texture? The absence of the former main protagonist, which was a digital vocoder that was built at the SWR Experimental Studio in Freiburg. I worked with this instrument there about a year ago, and it’s a historical piece of equipment that for me summarizes somehow these means of sound transformation that have been mainly developed in Freiburg concerning some works by Luigi Nono that were realized with such methods of filtering sound. The Frei Systemtechnik Filterbank worked for me as some proto-system for the complex of analyzing and re-synthesizing. In the first version it was on stage, mise-en-scène, during this piece, and also the central protagonist when it came to the source sound material. For SynAsTex Korrektur I wanted to focus on the texture synthesis algorithm that Axel Röbel developed. Another technical detail is that one of the re-synthesis categories had some extreme loudness jumps that made it pretty hard for me to play the piece in the overall volume that I had in mind, so these are two of the fundamental differences. The structure and timing are also different. Each speaker receives one of these nine different re-synthesis categories. It’s a static spatialization. So depending on where you are you’re going to have a unique experience of the piece. The soundfield is changing in the way that where you are in the room defines the mix that you’re getting in that particular location. What is your favorite programming environment? Do you use also other gear or software these days? Are you working on SuperCollider? I don’t have a favorite programming environment. There are many that I don’t favor, but I don’t think of these as programming environments, more as tools for music making, lacking a good level of inventiveness. I’ve been collaborating with Alberto de Campo for 20 years now, he authored the methods of spatialization, and also designed many software instruments I am using within SuperCollider—so in a way I’ve been working with it for that long, however there are so many programming aspects of it which I am totally ignorant about. I’d like to ask you some general opinions rather than going further specific and technical. In your works a lot of effort is put into keeping the sounds unrelated to each other so that every listener will have a different auditory experience. Do we really need easy and shared interpretations of reality around us nowadays? No easy interpretations, sound is such a direct force in a space affording immediate encounter that it well can exist on its own. In-depth additional context is something else, significant aspects in the histories of electronic music—sometimes you can’t avoid a certain level of technical persnicketiness. The idea of dismantling the framework of interpretation is something I noted also in meditation techniques, where you are actively trying to stop the mind from interpreting things and just to leave things be, without any effort of connecting dots. Are you familiar with meditation techniques, or did you come across them at some point? I caught some similarities, I’m assuming that the only way to enjoy your live installation to the most people is to stop judgement and any effort to understand what’s going on. This piece is not narrative. I have one last question, it’s about Artificial Intelligence vs Human intelligence. It looks like we’re close to build androids and technology is aiming at imitating the human touch in every field. Do you think these two universes will eventually collide and merge in the future? Let’s not even go there. Many of the current applications of such systems are uninspiring. I am missing both intensity and intent. They exist merely because one can rent some computing facilities somewhere and feed some stuff into them. The relationship of AI and music offers much more than that, already since decades, think of Marvin Minsky and Edward Fredkin’s Triadex Muse synthesizer, the work of David Cope or David Tudor’s Neural Synthesis, a piece that questions Tudor’s role of the virtuoso performer—it’s been going on for a long time. Or, then more recently, with the brilliant work in computing and the underlying maths from Bob Sturm or Vincent Lostanlen. 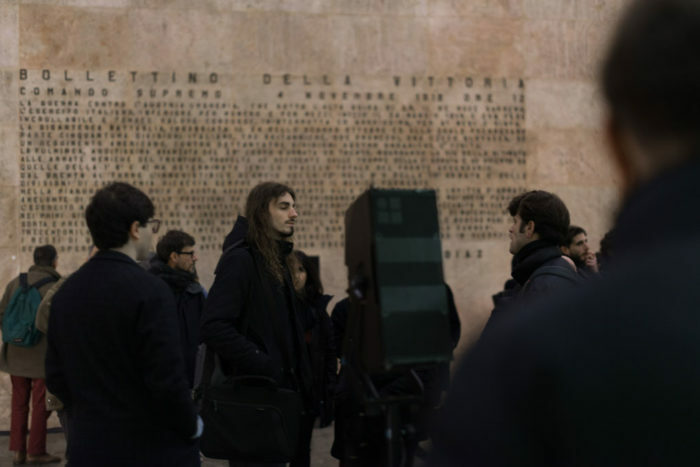 Florian Hecker works with synthetic sound, the listening process and the audience's auditory experience. 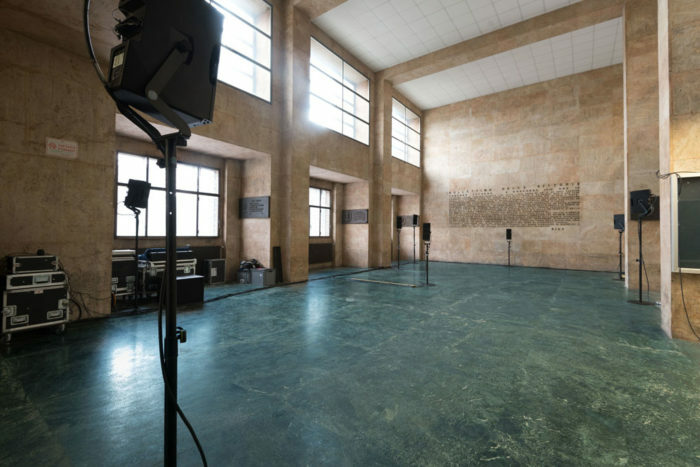 Inhabiting the domains of performance, installation, and publications, Hecker's projects explore postwar compositional modernity, audiology, and psychoacoustical knowledge. 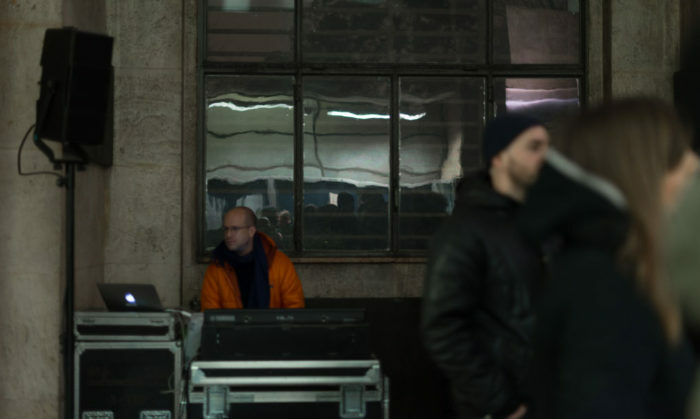 Paolo Iocca is an experimental music composer, producer, multi-instrumentalist and sound designer based in Bologna. His current musical research focuses on how sounds define temporalities, through extensive use of generative procedures and extended techniques on electric guitar. He occasionally writes about music on the Italian web magazine Sentireascoltare.